Outlines are on single pages to allow the designs of the printed version to be fotocopied with no shades from a back design. The PDF version keeps this structure for the book to be easily printed in A4 format. The complete collection of the first 4 design books, each design representing a different meaning. PAY 3 -> GET 5! 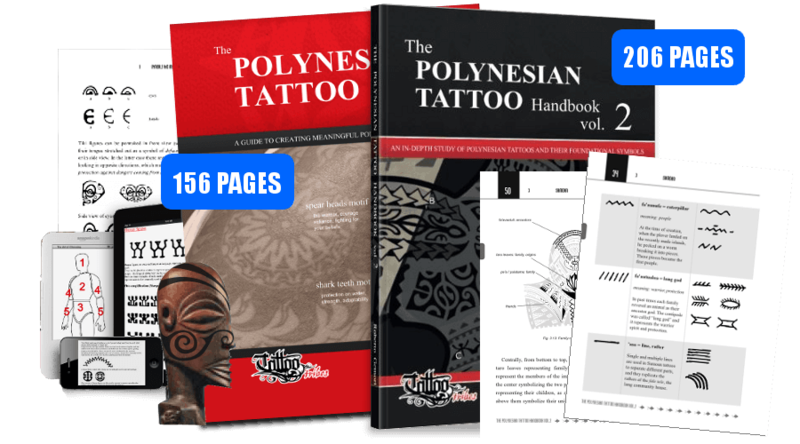 The book "Polynesian Tattoo Designs - Ocean Legacy" is a collection of the 93 ocean themed Polynesian style tattoos from the first 4 books of Tattootribes' Design series: Mantas, Turtles, Sharks and Sealife. 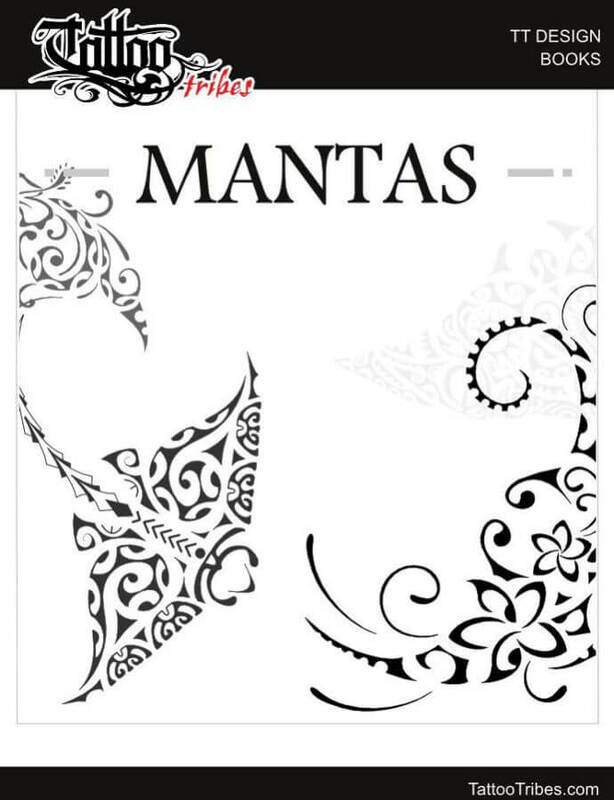 20 unpublished flash designs of mantas along with their outlines, each one with different characteristics and meanings. 20 unpublished flash designs of turtles with outlines. 25 unpublished flash designs of turtles with outlines. 28 unpublished flash designs of turtles with outlines. 28 sealife themed flash designs with outlines.